Add on to existing low voltage lighting fixtures for illuminating paths, walkways, driveways, or for general lighting needs. Traditional tier light design. Impact resistant polymer construction. 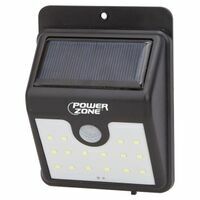 Includes surface mount bracket for deck mounting and 4 watt T3 bulb. 9" fixture height. Extension cord accessory for system lead. 10 Ft. Increases the gap between the transformer and the low voltage heads. Rechargeable batteries, 800 Mah AA battery, NI-Mh, 1.2 volt. Solar Fence Post Cap, with Adapter Solar Fence Post Cap, with Adapter Diecast aluminum. Mounts easily to wooden surface. Uses bulb #95504, 7 watt wedge base bulb, included. Accent light for use on decks and stairways. 10 watt bulb included. Uses replacement bulb # 95527. Quick-Connect Pathway Spotlight. LED. 18/2 SPT-2W, 8 Ft. Cord Adjustable direction. Diecast aluminum with glass lens. Uses number 95499, 20 watt bi-pin Halogen bulb, included. Polyresin construction. 3 turtles rest on a log, shells glow at night with 3 amber LEDs. Rechargeable battery included. Quick-Connect Pathway Spotlight. LED. 18/2 SPT-2W, 8 Ft. Cord Diecast aluminum with clear glass lens. Mix-N-Match with other low voltage lights for a custom landscape design. Uses a 10 watt Halogen bulb, included.